University of Washington Press, 9780295966366, 276pp. Claude Levi-Strauss's fascination with Northwest Coast Indian art dates back to the late 1930s. "Sometime before the outbreak of the Second World War," he writes, "I had already bought in Paris a Haida slate panel pipe." In New York in the early forties, he shared his enthusiasm with a group of Surrealist refugee artists with whom he was associated. "Surely it will not be long," he wrote in an article published in 1943, "before we see the collections from this part of the world moved from ethnographic to fine arts museums to take their just place amidst the antiquities of Egypt of Persia and the works of medieval Europe. For this art is not unequal to the greatest, and, in the course of the century and a half of its history that is known to us, it has shown evidence of a superior diversity and has demonstrated apparently inexhaustible talents for renewal." In The Way of the Masks, first published more than thirty years later, he returned to this material, seeking to unravel a persistent problem that he associated with a particular mask, the Swaihwe, which is found among certain tribes of coastal British Columbia. 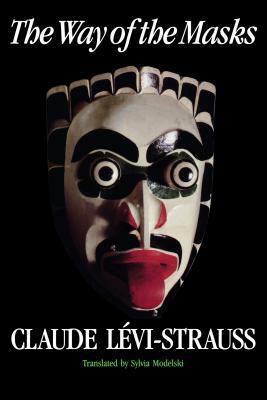 This book, now available for the first time in an English translation, is a vivid, audacious illustration of Levi-Strauss's provocative structural approach to tribal art and culture. Bringing to bear on the Swaihwe masks his theory that mythical representations cannot be understood as isolated objects, Levi-Strausss began to look for links among them, as well as relationships between these and other types of masks and myths, treating them all as parts of a dialogue that has been going on for generations among neighboring tribes. The wider system that emerges form his investigation uncovers the association of the masks with Northwest coppers and with hereditary status and wealth, and takes the reader as far north as the Dene of Alaska, as far south as the Yurok of northern California, and as far away in time and space as medieval Europe. As one reader said of this book, "It will be controversial, as his work always is, and it will stimulate more scholarship on the Northwest Coast than any other single book that I can think of."